Will this new campaign work? Most importantly, the new year means no more (big) moustache. Like Uber, Lyft wants customers to know that it’s really all about the drivers, who the company names “our everyday heroes.” In order to back up that claim, Lyft is now offering health insurance, gas cards, tax services, and used car deals to its drivers via various new corporate partners (MasterCard, eHealth, etc.). Uber and Lyft have quite a few things in common: for example, they’re both currently facing class action lawsuits in San Francisco and regulatory problems in New York City. And while Lyft now positions itself as the friendlier of the two, it does not have “unlimited surge pricing” and cannot brag of $1.6 billion in new financing or a “we just don’t give a sh*t” approach to marketing. 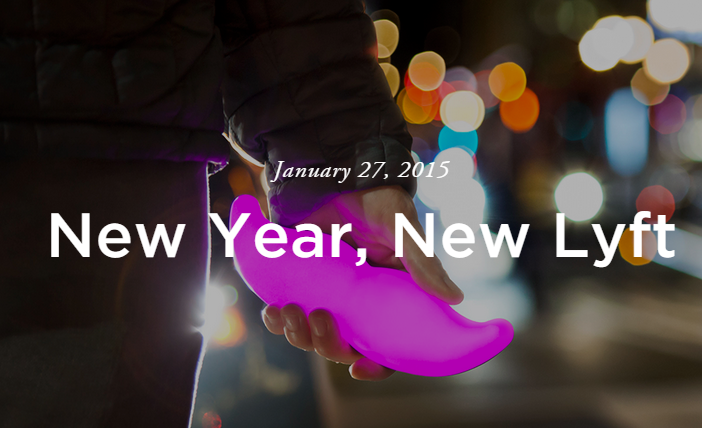 Will Lyft always be seen as Uber’s little brother?